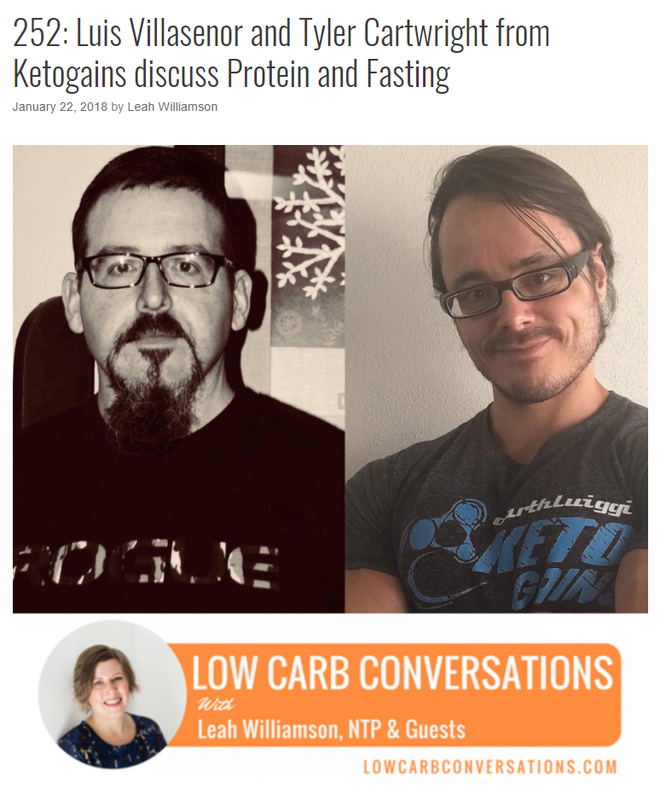 On this podcast, Luis and Tyler chat with Leah Williamson and special guest co-host Marty Kendall on the topics of adequate protein ingestion, fasting, and more. Also, Leah and Marty announce they are currently doing the January session of the Ketogains Bootcamp a try! Leah, Marty, Luis and Tyler chat about what is involved in the Ketogains Bootcamp. An amazing 637 people have done the Ketogains beginner and novice Bootcamps and have lost a total of 10,000 kg or 22,000 pounds. This is an average of 16 kg or 35 lb per person. Check out the Ketogains bootcamps for some excellent fat loss coaching! They’re both educational and practical.